Vattnet Viskar have been on tour fairly often, playing with bands like Dillinger Escape Plan and King Parrot. The group has announced a new round of dates for the summer and fall. They’ll head out on the road this week for a slew of dates with Silver Snakes, and then in October will tour with Pallbearer and Tombs. If you’re in the Baltimore area, both of these runs provide a chance to see Vattnet Viskar and it’s definitely worth it, as their newest album Sky Swallower was incredible. Check out the full list of dates below. After completing several North American tours with the likes of DILLINGER ESCAPE PLAN, KING PARROT, and many others, New Hampshire’s VATTNET VISKAR is ready to get back on the road this month for an East Coast run with SILVER SNAKES, followed by a more extensive trek with PALLBEARER and TOMBS this fall. See below for all upcoming dates. 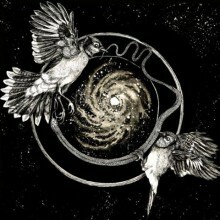 VATTNET VISKAR is currently working on the follow-up to their critically acclaimed debut full-length, Sky Swallower. Named one of the best albums of 2013 by Pitchfork.com and Stereogum.com, Sky Swallower can be purchased digitally at iTunes or in a variety of physical formats at CM Distro. For a preview of the quartet’s signature crushingly ambient, blackened doom metal, be sure to check out the video for “Breath Of The Almighty”. DOWNFALL OF GAIA announces third and final European tour for 2013!